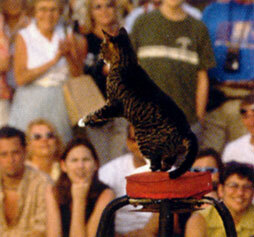 Don't miss Dominique and his Flying House Cats, who perform outside the Hilton every night. 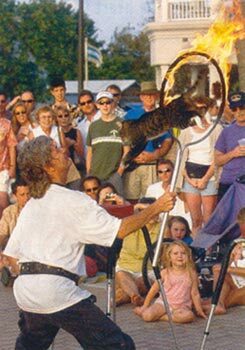 This bizarre Frenchman owns eight cats that jump through flaming hoops and walk tightropes. It's pure Key West kitsch at its best. Dominique and His Flying House Cats give nightly performances at Sunset.